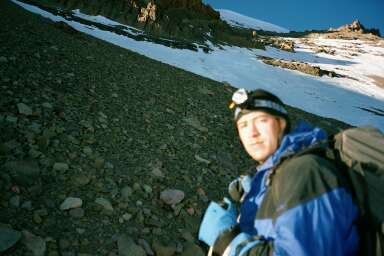 Hi, I am a friend of Pat Brown, who attempted with him to hike up Aconcagua this past January. This was our first time above 20,000ft. Including many nights sleeping at 19000ft. Streaming RealVideo Recommended, it will work on RealPlayer 5.0 (barely), but it prefers G2.